1. Ohlone people & Spanish mission. 2. Jewish cemetery — gold rush and city expansion. 3. 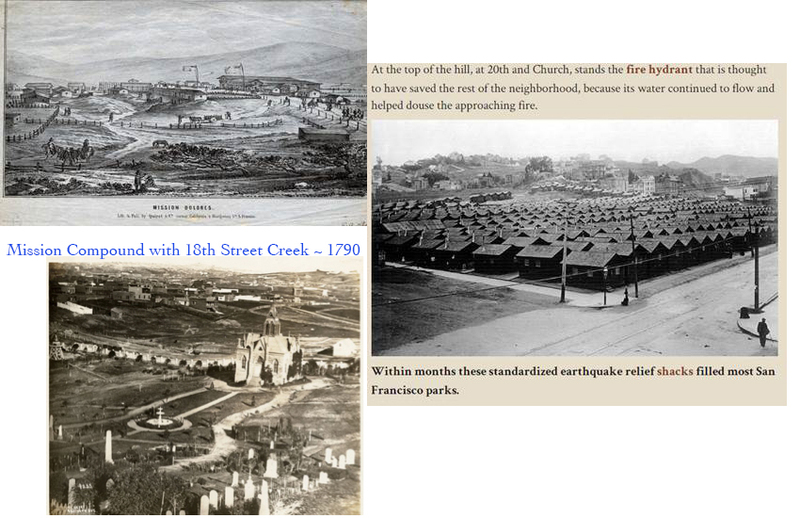 1906 earthquake, fire, refugees and rebuilding. 4. The New Dolores Park design and renovation. 5. Citizen engagement to keep the park clean and safe (Love Dolores, Ambassadors, neighborhood groups). People are needed to staff Stations 1, 2, and 3 and, assuming four shifts of one hour each, they will need 12 volunteers. The Love Dolores initiative will provide the logistics and materials. That sure is a lot of homeless people camping in Dolores Park. Guess “the city that knows how” knew how then but no longer does.